KLRN would like to share news about how we are working to engage with the veteran community and the community-at-large in San Antonio. In September, KLRN will broadcast a 10 part mini-series documentary, The Vietnam War, produced by Ken Burns and Lynn Novick. The documentary has been in production for 10 years. KLRN will begin to broadcast The Vietnam War on September 17. We will host community screenings at KLRN and at Texas A&M University-San Antonio. 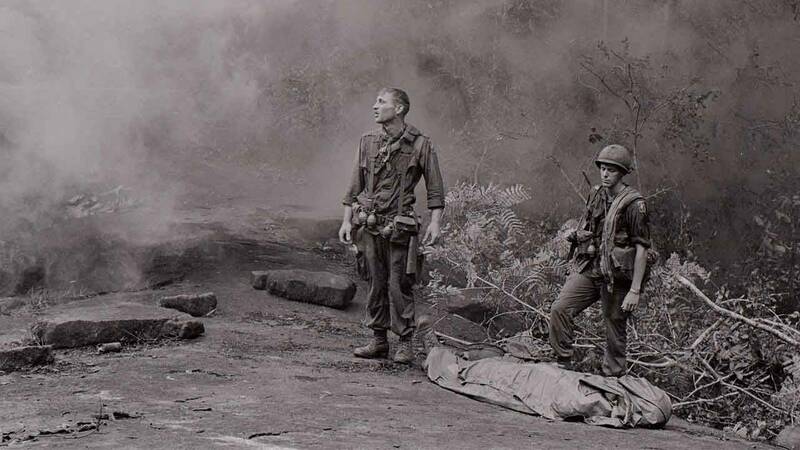 The screenings will be a preview of the entire film, The Vietnam War, and will include highlights of service-people, the Vietnamese perspective, media and journalism, leadership, civilian life, the anti-war movement, veterans coming home, and more. At these screenings, we will share images of personal memorabilia from local veterans and community members. By harvesting and sharing digital artifacts, we can share the local stories in a meaningful way. As we begin to collect these records, we are organizing history harvests in August at local VFW Posts and American Legion Posts. The history harvests offer an opportunity for veterans, their family members, and the community to share their stories and personal keepsakes. KLRN invites you to join us and share your Vietnam era photos, letters, mementos and stories with us. We will display digitized copies of your artifacts at the community screenings. KLRN will NOT take ownership (temporary or permanent) of any tangible artifact. Wednesday, August 16 | 10 a.m.
Wednesday, August 30 | 10 a.m.
Wednesday, September 6 | 5 p.m.
Wednesday, September 13 | 6 p.m.
Thursday, August 3 | 5-8 p.m.
Friday, September 1 | 1-5 p.m. Please check back for more information about locations of future harvests.